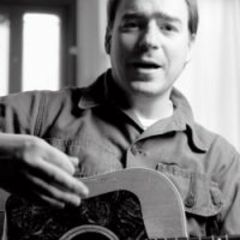 Since 1996 Jason Molina has been delivering his sparse tales of woe in various forms from Songs: Ohia to Magnolia Electric Co. he has done collaboration albums with artists such as Alistair Roberts and My Morning Jacket and more recently has begun trading under his own name. Let Me Go, Let Me Go, Let Me Go is his second full length and his best yet. Molina opens his album with a song entitled It's Easier Now. This sends a shudder down my spine at the thought of what it was like, as Let Me Go is as bleak as it gets. But if anyone can do bleak it's Molina. The whole album sounds like a last gasp cry for release as expressed in the title through to the final note of this trickling 34-minute slope into blackness. We get bombarded with albums with the same agenda as this all the time, but most of them are a struggle to get through and the only thing that moves quickly is your emotional shift from interest to boredom. This is far from the case here. Molina has an absolutely captivating voice and coupled with the impeccable production his words chime with crystal clarity that keeps you listening and hanging on his every devastating word. Though he rarely rises above a whimper his voice has a dormant strength that threatens to roar. All of this, and his ability to write lyrics that break your heart faster than a Live Aid appeal interlude, make this a powerfully empty experience. In Alone With The Owl, he asks "while I lived was I a stray black dog, while I lived was I anything at all?" then describes the stagnancy of his life as he "stood beside the ocean not a single wave." But it's on Get Out, Get Out that he really shows his poetic skill with the achingly sad line "I live low enough that the moon wouldn't waste its light on me, what's left in this life that would do the same for me?"